Interior Turf Equipment is a dealer for Bercomac Attachments and accesories. 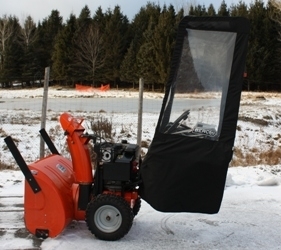 This inexpensive accessory for snowblowers is a must! 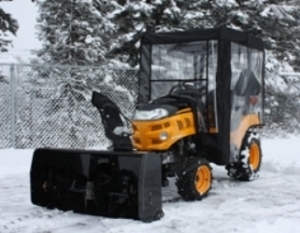 It ensures a good visibility avoiding oncoming collisions, obstacles and any other hazards which may arise when clearing snow. BERCOMAC strongly recommends this unit to all walk behind snowthrowers. Universal model, will mount to snowthrowers with round tubular handlebars even headlights. COME OUT OF THE COLD AND STAY WARM, DRY AND COZY. Clearing snow with a cab is the ultimate difference. No more snow in the face, making you freeze. If you have ever cleared snow without a cab, you know what we're talking about. Its comfort and its price will render it indispensable. THIS IS THE BEST PRICED VS QUALITY AS WELL AS COMFORTABLE ON THE MARKET. 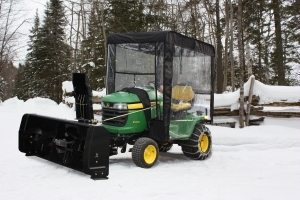 This all weather enclosure keeps the operator protected from the icy wind and blowing snow. The operator works at his ease with ample elbow room. As an added security measure the rear window is longer so the signal lights are clearly visible. A must have for any sub compact tractor owner. 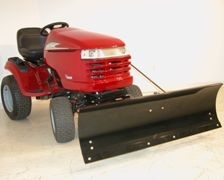 Use your lawn tractor to easily clear the snow. You and your tractor will get the job done in record time. Take a seat and let the snowblower do its job. You'll wonder how you ever did without it.Your tractor is working for you in the summer, now let it work for you in the winter as well. 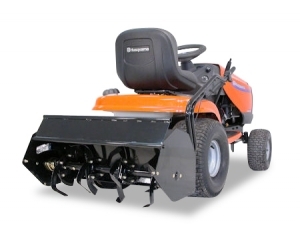 Ariens, Columbia, Craftsman, Cub Cadet, Dixon, Husqvarna, John Deere, McCulloch, Poulan Pro, Toro, Troybuilt, White, Yard Machines and Yard-Man. 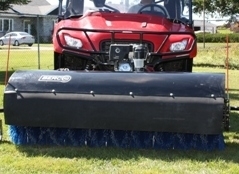 Gear up your compact tractor with a Berco snowblower and take a bite out of winter. Go through any type of snow and any amount of snow. Berco products make your life easier. 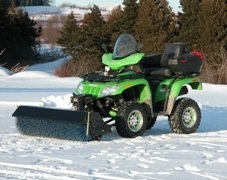 Put this snowblower on your ATV or your side by side UTV, it fits them all. 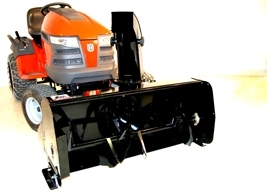 Its 54'' size and the fact that it hooks on & off in under 4 minutes will cut down your snow removal time to a fraction of the time it used to take. Take a seat and let the snowblower go through the snow banks with ease. You'll want it to snow so you can go outside and play. Series 2000 will simply exceed your expectations. Comes with a full chain guard and a self-adjusting chain tensioner, your maintenance time will significantly be reduced. 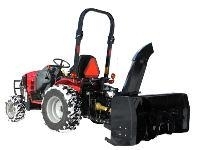 Get your tractor working for you ALL YEAR ROUND. Take a seat and ride around while getting the job done. Rake the lawn & leaves, sweep the parking lot. Clear light snow... the possibilities are endless. You won't call this work, you'll be having too much fun. 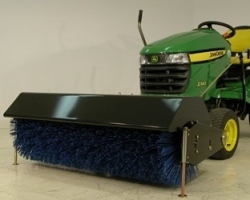 The lift system included with the subframe is offered in 2 versions, for the Rotary Broom, and will depend on the brand and model of the tractor. On certain tractors you may have more than one choice. Tell your dealer which brand of tractor and the model you have to know which type of lift mechanism is offered. Cleaning, raking, lawn dethatching, snow sweeping, it does it all. Fast hook up so you can use it anytime on your ATV or UTV. Grooms lawns, cleans barns, ice rinks, biking trails. Sweeps parking lots, sidewalks, driveways... and more! 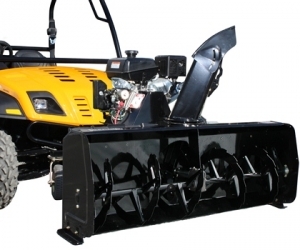 This snow blade is specially designed for lawn and garden applications, is perfect for plowing snow. So easy to use, just clip it on whenever you need it, get the work done and clip it off. Get more out of your tractor, get it to till for you as well. 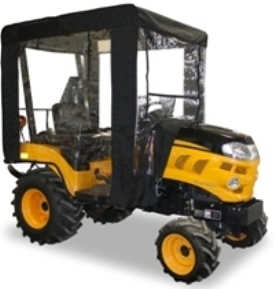 Tills through any type of soil with ease, just drop it down and drive off. Gets the soil ready for seeding in no time so you may harvest your rewards sooner.